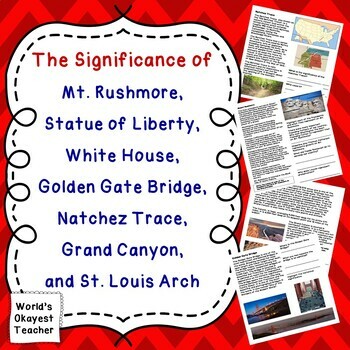 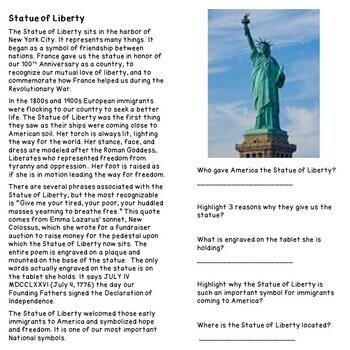 Students will read and answer questions about the significance of American monuments and landmarks including; St. Louis Arch, White House, Grand Canyon, Natchez Trace, Mt. 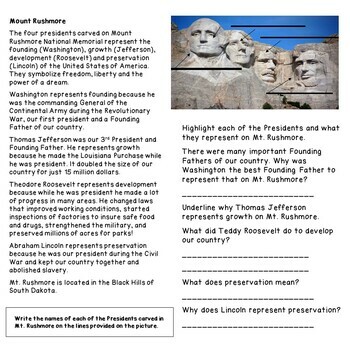 Rushmore, Statue of Liberty, and the Golden Gate Bridge. 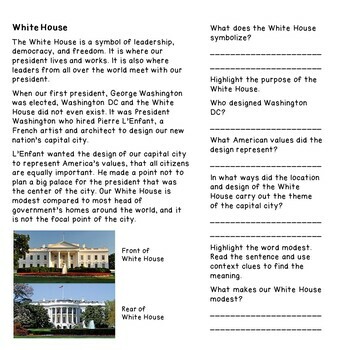 Questions will ask them to respond by highlighting text, underling key points, and using close reads and critical thinking.